Edge_Source: Defaults to None. 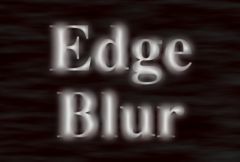 The clip used to determine the edge locations where the Source should be blurred. If this input is not connected, the main Source clip is used instead to determine the edges. Turns on or off the screen user interface for adjusting the Blur Width parameter.This parameter only appears on AE and Premiere, where on-screen widgets are supported.